This is something to behold. I consider it a "time capsule" guitar. 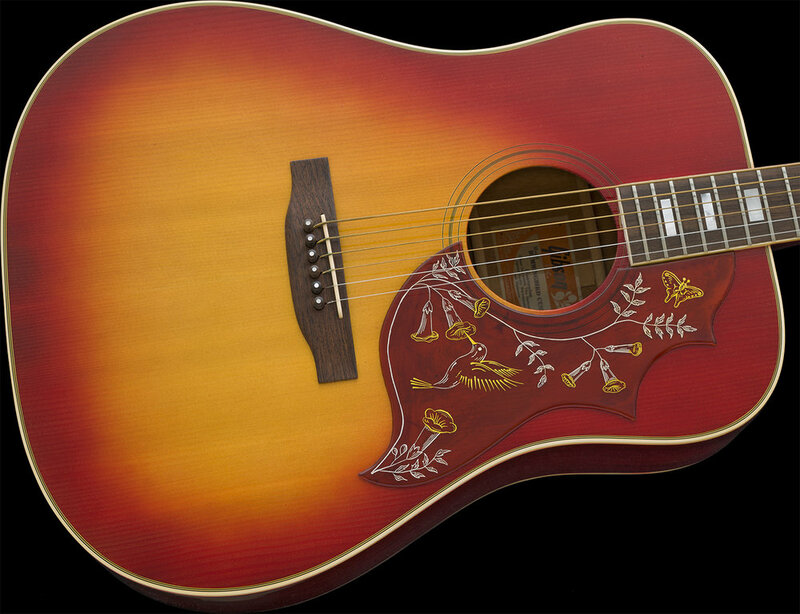 This Gibson Hummingbird came to me from an old-time LA-based retail music store called Phillips Music. They used to buy and hold a lot of inventory and often supplied other LA area music stores and vendors with music gear on request. From time to time, one of the better guitar finders whom I worked closely with would go through their storage and buy some of the older, out-dated (vintage) items that they had, and in some instances, the store had been holding them for decades. This is one such guitar. It came to me sometime in the early 1990's. In fact, as I recall, I had gotten 2 Hummingbird acoustics, both in their factory cartons, the other was Natural and was sold some time ago. The guitar is still NEW. It has resided in the factory packaging, including what was the vacuum-packed plastic sheath that slides into the carton for decades. The tissue paper, hang tag/warranty and key to the case are present. It's funny how little paperwork Gibson supplied during this period. After it's introduction in 1961, the Hummingbird specs changed. The earliest Hummingbird examples have Maple body construction and are a shorter 24.75" scale. I have owned several of these early models. Shortly after, the body then changed to Mahogany construction and I have had some "short-scale" Mahogany models, and then the scale length increased to a full 25.5" length, the latter occurred in or around 1963. 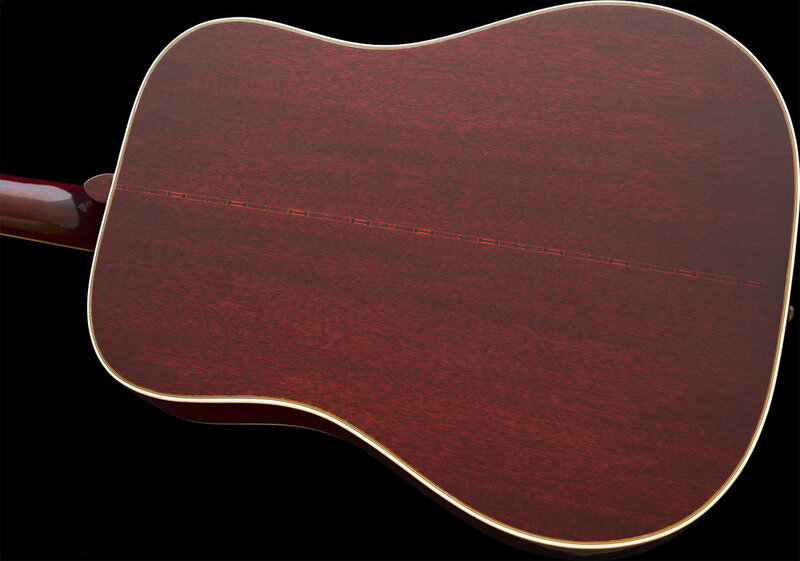 This guitar is also early enough to still feature Mahogany-neck construction which changed in 1975. There are no signs of wear. The guitar doesn't appear to have been strummed or played. This is a very crisp example of a Vintage Gibson acoustic. The Strings have not ever been changed! I have personally inspected the guitar, and there are no cracks, warpage or damage of any kind. The instrument appears to be healthy in every way. It has only been handled a few times in its life, and I have never played it. The CASE is the Factory issued Black Tolex with Purple Plush lining. It is in matching condition as the guitar was shipped in it from the factory. The guitar retains its FACTORY-INSTALLED strings. This guitar is now 44 years old and has quietly sleeping in the box, in my collection for about 25 years. 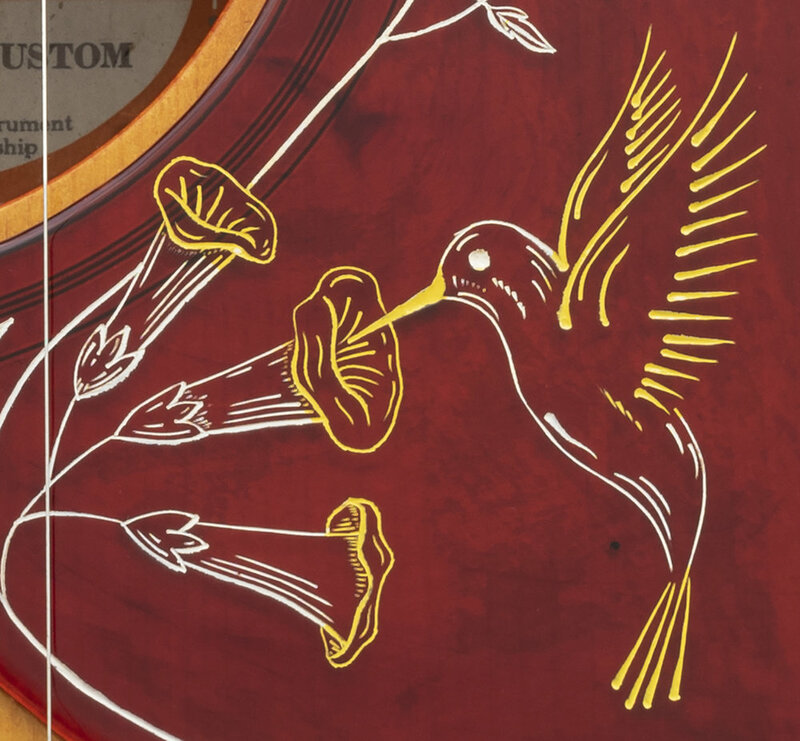 The original Gibson cardboard carton shows signs of aging and minor wear from being stored and moved around, but it will ship inside of a larger carton to protect the box and the guitar during transport. If this model appeals to you, you may consider adding this GORGEOUS, TIME CAPSULE example to your guitar family as I did long ago. 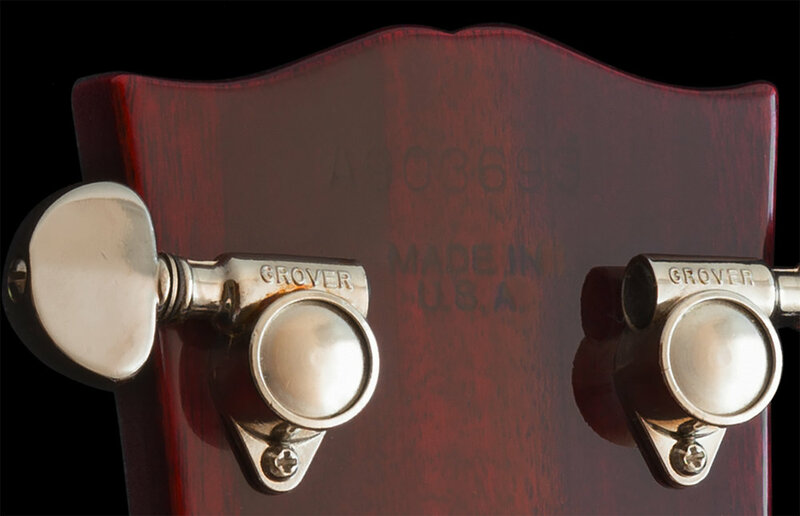 A good steward is needed to continue the preservation of this iconic, American designed and made guitar. If you have any questions, comments or interest, kindly inquire. Nut Width: 1 11 / 16"